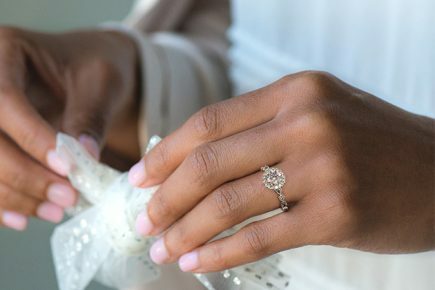 Halo engagement rings are among our all-time favorite ring styles. 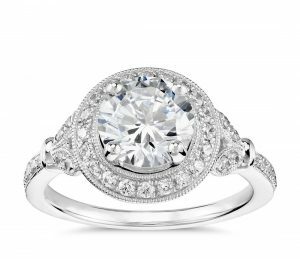 After all, they add a ton of sparkle, make your overall ring look significantly bigger, and they’re such a stunning way to set and elevate your center stone. 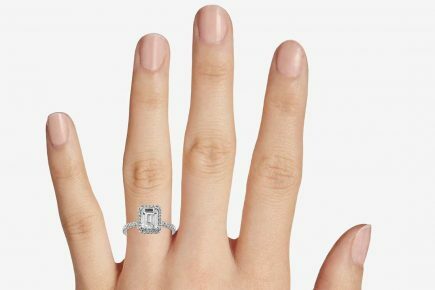 Plus—because most halos use smaller stones—they’re a super cost-effective way to achieve that head-turning ring-finger shine for a fraction of the cost of a massive solitaire. In all honesty, we’ve never met a halo we didn’t like—and, today, we’ve rounded up 15 of our favorites. 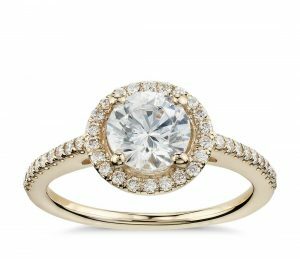 Read on for our top halo engagement ring picks. 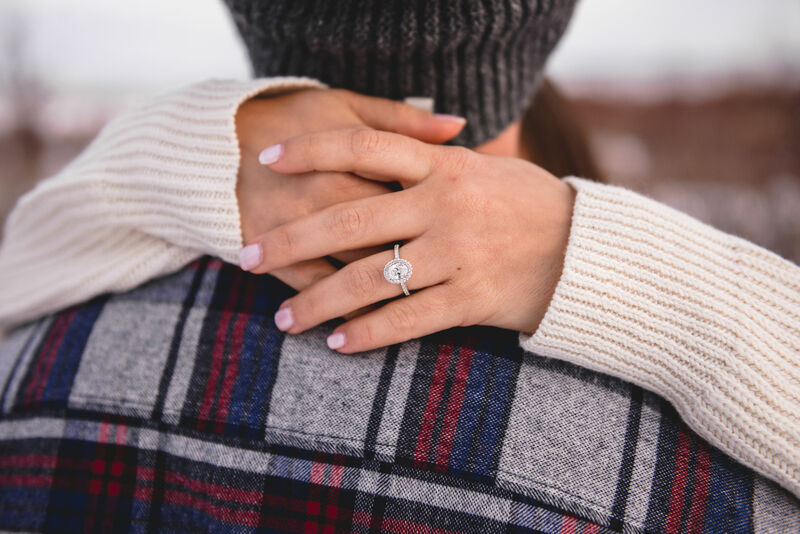 Featured image from Ariana & Sky’s Proposal Story. 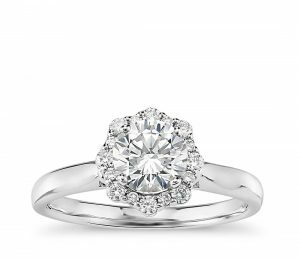 A pear-shaped diamond and a stunning halo? Sign us up. This one falls somewhere between delicately dreamy and fiercely feminine—and we can’t get enough of it. We love the rarity of a kite-set diamond—it’s a setting you don’t always see, yet one that is sure to turn a few heads. 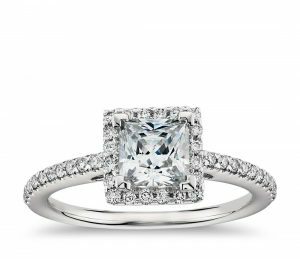 If your partner is into a timeless princess cut (who isn’t, really?) 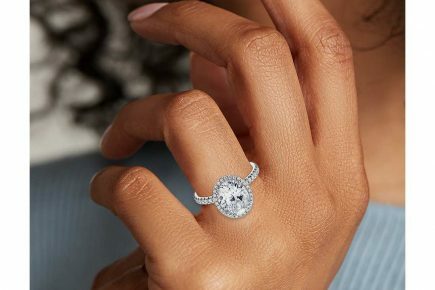 but wants the added sparkle of a halo—this one might just be her dream ring. With a twisted band and a seriously swoon-worthy rose-gold setting, this one is takes pretty-in-pink to an entirely new level. You had us at “emerald cut”…and then you went an added a halo that made us weak in the knees. You can’t mess with a classic—and this yellow-gold stunner proves our point perfectly. 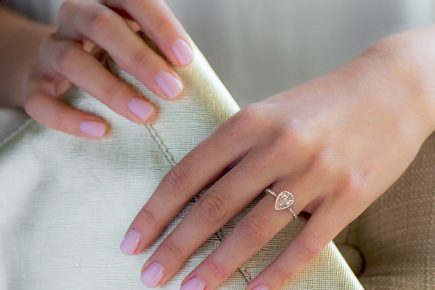 We’re obsessed (as in really obsessed) with this oval-cut halo engagement ring. Something about the timeless shape and setting manages to feel both storied and stunning at once—and we’re all about it. 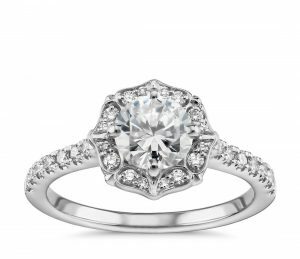 If your partner fancies a floral aesthetic, this halo engagement ring will have her waking up and smelling roses for years to come. Is there anything Monique Lhuillier can’t do? 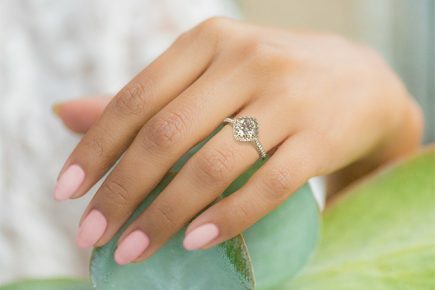 We’re obsessed with the vintage-vibes we’re getting from this stunning halo engagement ring design of hers. Hello, diamonds for days! 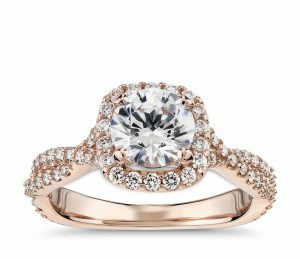 This stunner is chock-full of sparkling stones—and boasts a romantic rose-gold setting to boot. We’re in love. 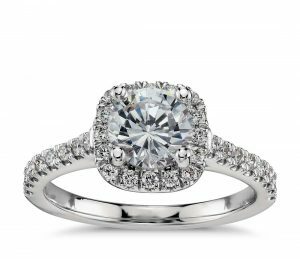 There’s a reason a classic cushion-cut is hard to resist…and it’s because it makes for engagement rings as stunning as this one. There are halos…and then there are Monique Lhuillier baguette halos. 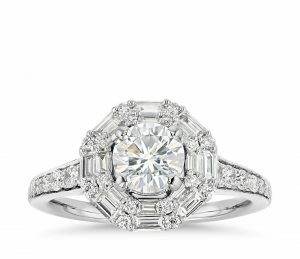 We’re obsessed with the vintage and art-deco aesthetic of this one…and we can’t quite get over the fact it includes a double halo (of stunning baguette diamonds to boot). 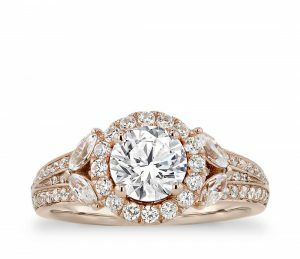 For the woman who’s a warrior, this dreamy vintage-inspired halo engagement ring makes for one stunning shield. In the mood for more browsing? 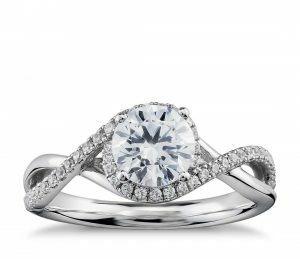 Take a look at all the halo rings available to buy online today at Blue Nile or James Allen.